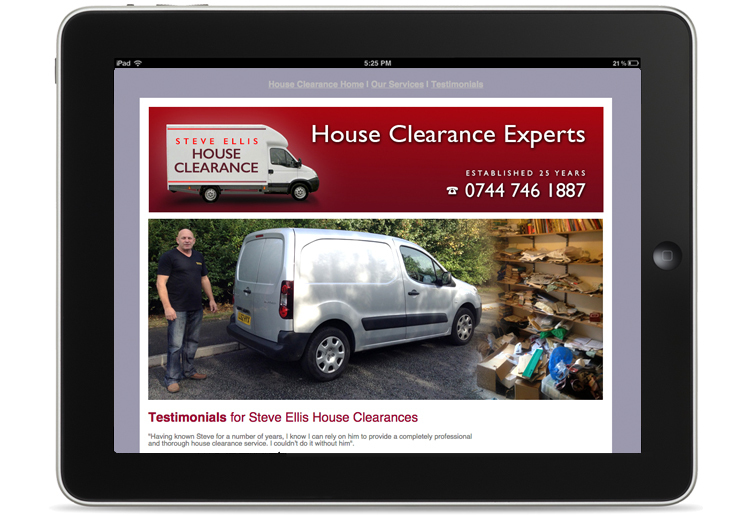 Here is an example of a basic three page HTML website we designed, built and host for a local Derbyshire, Peak District house clearance company. 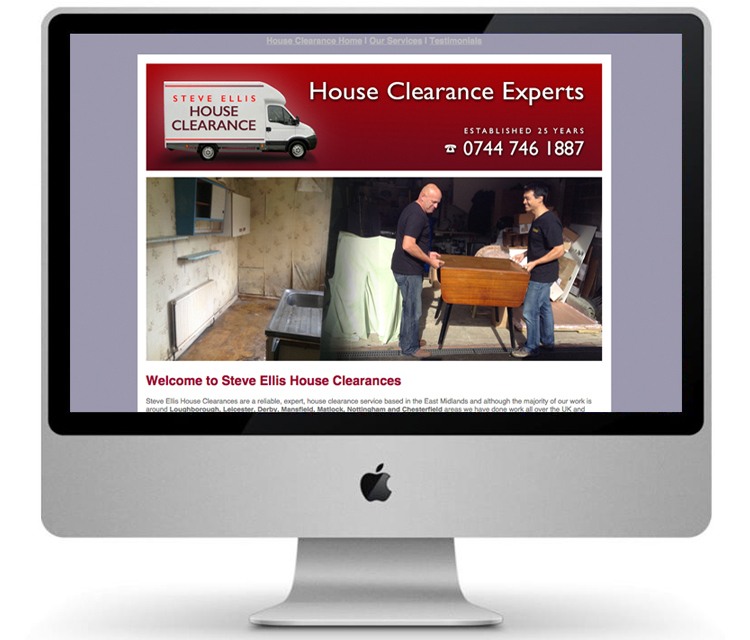 A very cost effective way to get your business on-line. From a simple holding page to a full ecommerce site, we have the expertise to design and build a website for your company or organisation, from sole trader to international plc. WordPress, Joomla, HTML, Magento etc – whatever platform your would like your website to be built in, we can oblige. Unlike many website design companies we use designers to design your site and programmers to build your website, ensuring you get a creative, eye-catching website, with great functionality and coding. Andrew Burdett Design are also experts in responsive websites, mobile sites, website hosting, web domain registration, SEO, social media, and email marketing, so whatever your new media requirement, we have the expertise and experience to deliver on time and on budget. From a sole trader based in the Peak District, a national charity, a school, or a large international company, we can design and build your website. With holding pages starting at £100 (ExVAT), you may be surprised how little it may cost. 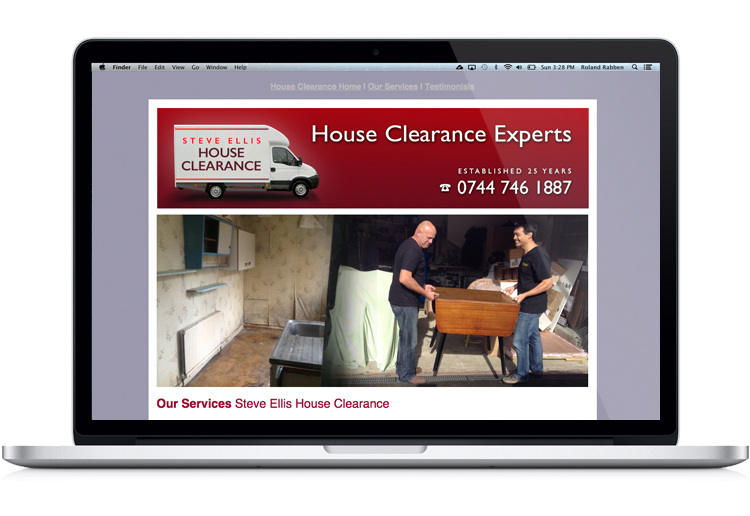 For a FREE quote call the Peak District website design company – Andrew Burdett Design on 01433 208307.